By Xiao Sheng, Translated by Hu Yuduo Sculpture Park has become a new comprehensive art space, with the function of landscape, garden, visiting, leisure and sculptures into one, to display sculptures. Its appearance reflects the new development ideas of sculpture. Sculptures installed outdoors have always had. But the direction the sculpture park represents is to make sculptures more public, life-oriented and people-oriented, which is a new development idea. In general, after the end of theology era, the transformation of outdoor sculptures is to get down from the altar, towards a modern urban space, facing the secular society and serving people’s lives. This transformation promotes outdoor sculptures shifting from simplification of solemn and serious presentation to more pluralistic and diverse; meanwhile, set the outdoor sculptures free from major political, historical themes, making them become part of urban public life. In addition to part of sculptures continuing the theme creation, more outdoor sculptures begin with lively manner to combine with urban space and environment. It becomes an art form to beautify environment, enhance space quality and make people feel. Wuhu as a city with two thousand years of history has been a renowned important commercial port and ferry terminal since Ming and Qing Dynasties. But in terms of urban morphology before twentieth century, it is still a traditional city based on traditional agriculture and handicrafts. In the aspect of sculpture, the Ming and Qing periods mainly focused on the decoration of architectures and craft sculptures. In the dominated period of agricultural economy, Wuhu and other cities of China have no tradition of independent outdoor sculptures. The early twentieth century, the presence of Wuhu as a treaty port and the emergence of the Public Concession objectively promoted the transformation of Wuhu city, and it began to turn into a modern industrial and commercial city. Undoubtedly, this transformation has a positive role in promoting the development of urban architecture and spatial art. It is generally acknowledged that the difference between a modern society and a traditional society lies in that the city becomes the center of civilization. That is to say, the main focus of the civilization has shifted from agriculture to industry, from rural to urban. However, in most of the twentieth century, due to various reasons, Wuhu and other cities in China showed a slow pace in urban development. In terms of outdoor sculptures, there are only a few, sporadic existence. It was in the early 1990s that the outdoor sculptures started going into the vision of city, raising people’s concern, and forming a certain number and size. Since the development of Pudong in Shanghai, the city development of Wuhu has began to develop rapidly as the focus and breakthrough point of reform and opening up in Anhui Province. With the opportunity to reform and development, Wuhu outdoor sculptures also begin to develop rapidly. At present, among the cities in Anhui Province, Wuhu outdoor sculpture shows a leading position no matter in number and size or the attention paid to it. This fully states that urban development to a certain extent will put optimizing the space and environment on the agenda naturally; meanwhile, the city’s development is bound to promote cultural development. Fundamentally, the competition among cities is about the culture competition. The outdoor sculpture park in Wuhu is a new thing. There’s still a need to find a good way to match its construction, and it is a long way to go. Why? This is because the construction of sculptures is not easy. In China’s rapid urbanization process, yet there are many blind spots in building the outdoor sculptures: some are due to the lack of ready-made experiences for reference, in the process with such rapid pace, it is inevitable to encounter some thoughtlessness; some are due to lack of the matched system to support, for example, some foreign countries have percent for public art programs and a set of relatively complete system to select works; some are due to the lack of capabilities of implementation and operation. There are certain gaps in the specific implementation process compared with advanced countries and cities… All this becomes the construction background to build Wuhu Sculpture Park and an opportunity to develop a new path. With the development of Wuhu city, the planning of large areas of Shenshan Park provides Wuhu Sculpture Park more space to develop. How to make the park become culture-oriented “Sculpture Park” asides from the general landscape park? With the intervention of China Sculpture Institute and China Academy of Art, based on “Liu Kaiqu Award” International Sculpture Competition, the unique construction mode has formed in Wuhu Sculpture Park. This is the so called Wuhu Model, and what are the characteristics and commendable place of it? So far it is worth recognizing that it can start from academic aspect of sculpture, which is helpful to guarantee the quality of sculptures, and the quality is the most important concern in Chinese sculpture construction. The joint construction way of Wuhu Sculpture Park by local government, academic institutions and professional colleges, ensures that it has greater implementation strength, and guarantees its artistic level at the same time. This is a powerful combination approach. All works in Sculpture Park come from “Liu Kaiqu Award” International Sculpture Competition, and it functions as: first, it shows that the field of sculpture hopes to inherit the sculpture tradition created by old generation sculptors, and then makes innovation based on it. This is also an attitude to support the young generation sculptors and the academic pursuit of Chinese sculpture in the contemporary era; second, it ensures that the works selected for Sculpture Park get rid of the past stylized and formalized “urban sculpture” routine, and brings the artists’ most personalized creations to the Sculpture Park. It is worth noting that in the process of cooperation with Wuhu municipal government, it shows full respect for the experts and laws of art, this gesture of Wuhu is the basic guarantee for such cooperation model to run successfully. We have reasons to believe that this good cooperative relationship represents a significant demonstration to Chinese cities’ outdoor construction. In the specific operation, Wuhu Sculpture Park has tried some specific fruitful methods. The collection and selection of outdoor sculptures is a universal problem. Many cities have enthusiasms to build urban sculptures, but could not find a good program. Whether by public bidding, invitation for bid, or designating creation, all have some specific issues. Wuhu International Sculpture Competition has achieved good results through combination of professional institutions’ invitation and the public bidding from international community. The “Liu Kaiqu Award” has adopts the way to select works from all over the world, each time we can receive hundreds of foreign sculptors’ works, and thousands of works from domestic sculptors. The number of works ensures the enough choices the Sculpture Park has. In the several consecutive competitions, such a large collection of sculptures is rare to see in the sculpture activities in China. After collecting the works, the organizers organize authoritative committee to go on initial evaluation; according to the results of the first round, the three-dimensional modeling of small draft will be made, and then continuing the second round re-evaluation. From the current situation to see, the quality of the works has been guaranteed through strict and professional supervision and the mode of rounds of selection. Wuhu International Sculpture Competition utilizes two-stage creation method in order to avoid the phenomenon that not showing enough respect to the artists practices as some cities did in the past; on the one hand, it is to give participated sculptors corresponding material incentives to mobilize their creative enthusiasm; in the specific production, it is for China Sculpture Institute to organize the experienced sculptors to supervise the works’ quality. This combination has changed the situation which only pays attention to designs and ignores the working process; as a result, the overall quality of the works can be monitored. In short, Wuhu International Sculpture Competition provides a good model for building outdoor sculptures in China today, and we believe that with this cooperation and further exploring in depth, Wuhu Sculpture Park will have its place in the history of Chinese urban sculpture construction. By Sun Zhenhua, Translated by Hu Yuduo The construction of Wuhu Sculpture Park in Shenshan Mountain, which called “Wuhu model” by sculpture world, is relying on three “Liu Kaiqu Award” International Sculpture Exhibitions. Currently, the park is celebrating its third phase of sculptures. With increasingly apparent environmental effects of the former two phases of sculptures and with horticultural workers’ carefully cultivating, the Sculpture Park has begun to take shape, presenting sculptures blending in the natural environment, showing an overall effect of cultural and ecological combination. It is no surprise that Wuhu Sculpture Park is the best park of its kind in the country that combines humanities (sculpture) with ecologies (natural environment). Wuhu Sculpture Park in many ways, represents the significant change the Chinese outdoor sculptures have occurred in recent years, for instance: the focus on the number of sculptures has shifted to pursue the artistic quality of sculptures; the sculpture making process has changed from the past extensive form to nowadays sophisticated process way; the space sculptures located has become more close to people and life than its past ritualized space. From practice of the Wuhu Sculpture Park, it is found that clearer “Wuhu model” demonstrates that today''''''''s sculpture has been walking to humanities and natural ecologies with the most prominent original changes present. The earliest sculptures human made was not created for nature, but for human being themselves. The early time sculptures express the awakening of human self-consciousness; this awakening process shows a gradual separation from nature, reflecting the respect for life, worship and admiration. 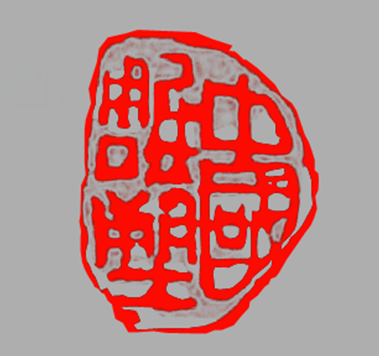 This can be confirmed by the early primal sculptures from China and foreign countries. In terms of the relationship between man and nature, Marx once said, nature is the inorganic body of human. With the development of human society, human beings themselves keep expanding their artistic boundaries. In fact, we could see the evolution of the relationship between man and nature from the evolution of the relationship between sculptural art and nature. Sculptures of this period exist in places of worship in the wild and nature. The sculptures and nature of this time still remain a natural link as human and nature haven’t separated completely. The next is a long historical stage that deities become the main performance target of sculptural art. In human history, the golden age of different nationalities’ sculptural art mostly created in the times of theology. People indirectly expressed their understanding of themselves in the religious theme sculptures. From the worship and praise to deities, people upgrade themselves with the power of deities. The placement sculptures at this period have gone to artificial buildings and architectural spaces. They can be installed in the squares, shrines, churches, caves and temples. From the beginning of the Renaissance, especially after the 17th and 18th century, sculptures have came out of the theology era to an age emphasized on human, and become a form of space art to convey communication and to express people’s thoughts and feelings. The consciousness the sculpture in art makes it get rid of religion, and become an independent humanism art. The placement location of sculpture of this era has changed. It began to walk into museums, galleries and art salons, to go to city streets, squares and public buildings as a way to decorate human being’s living space. At this time, there is some sculptures started showing up in the garden, patio as part of the landscape. When the sculptural art becomes more independent and purer, it gets farther away from nature. Especially after the emergence of the so-called conceptual shelf sculpture, it becomes an art style separated from outdoor environment and space, and can be installed in the artists’ studio, exhibition halls, as a result, its relation with nature severed. With the rise of modernist sculpture movement, sculptures begin to return to nature since Henry Moore, while sculptors also begin to get inspiration from nature. Since the 60s of the 20th century, the boundaries of sculptures and non sculptures, artificial and natural boundaries started to be broken. This trend significantly manifested in the creation of sculptures, at this time, the relationship between sculpture and nature came across a turning point. We found more and more sculptures emphasis on integration of nature and communicating with environment, emerging a variety of new ways, such as land art, landscape art and ecological art. In the history of Chinese sculpture, there has been a tradition to express and get close to nature in ancient sculptures. For example, ancient environmental sculptures, cowherd and girl weaver sculptures in Han Dynasty, sculptures at the tomb of Huo-Qubing, figurines in the Tang Dynasty, landscape wall sculptures, Cliffside stone sculptures, etc., all have shown the ancient Chinese view of nature, and these are important cultural heritages. Walking towards natural ecology is the common direction of Chinese and foreign sculptors, take Professor Hong Shiqing in China Academy of Art for example, he has adopted natural sea reefs in Dalu Island in Yuhuan, Zhejiang Province and Chongwu coast, Fujian Province to create interesting and lifelike marine life sculptures by slight transforming; there are many other sculptors using natural and waste materials to create sculptures, which embodies a new artistic view. From the international point of view, currently, land art and eco-art demonstrate an ascendant trend, sculptures have become a way to love and respect nature for people. The so called “Wuhu model” construction of Sculpture Park, following the mainstream trend of international sculpture development, is a successful attempt to combine China''''''''''''''''''''''''''''''''''''''''''''''''''''''''''''''''s national conditions with main trend. It is the role of government support, contribution from experts, respecting the laws of art, geographical characteristics, and people’s participation among other factors together, thus to have the success of Wuhu. Natural-ecology oriented sculpture art is the trend in the future, as well as human beginning to learn to respect nature and revere for nature''''''''''''''''''''''''''''''''''''''''''''''''''''''''''''''''s performance. Returning to nature gives new possibilities to the art of sculpture. In the new cultural context, sculpture is in great need of a new form to step into a realm to create harmony between human and nature, and to create a form of ecological landscape sculpture.